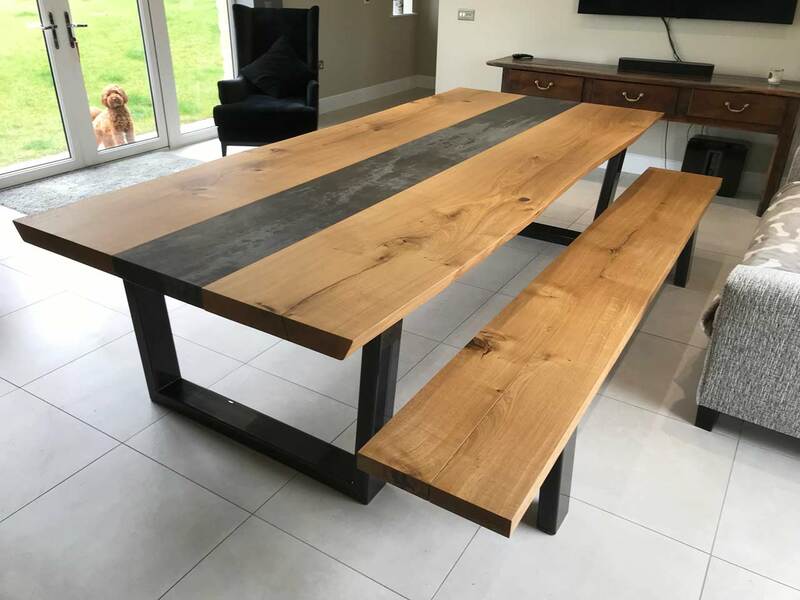 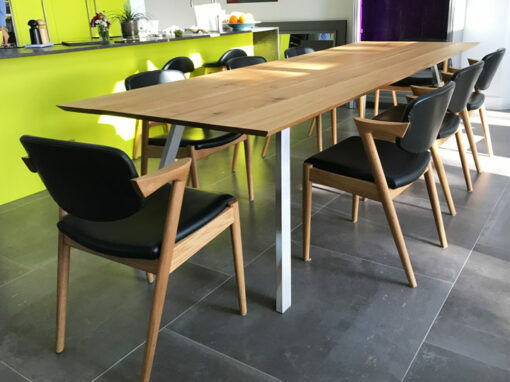 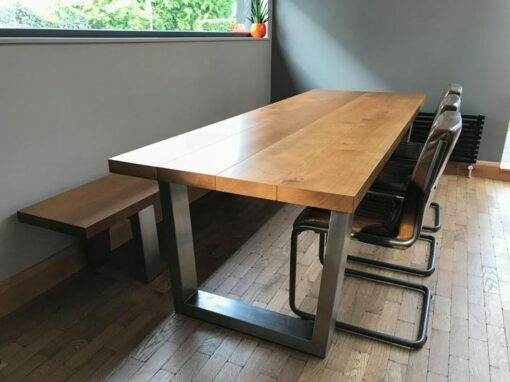 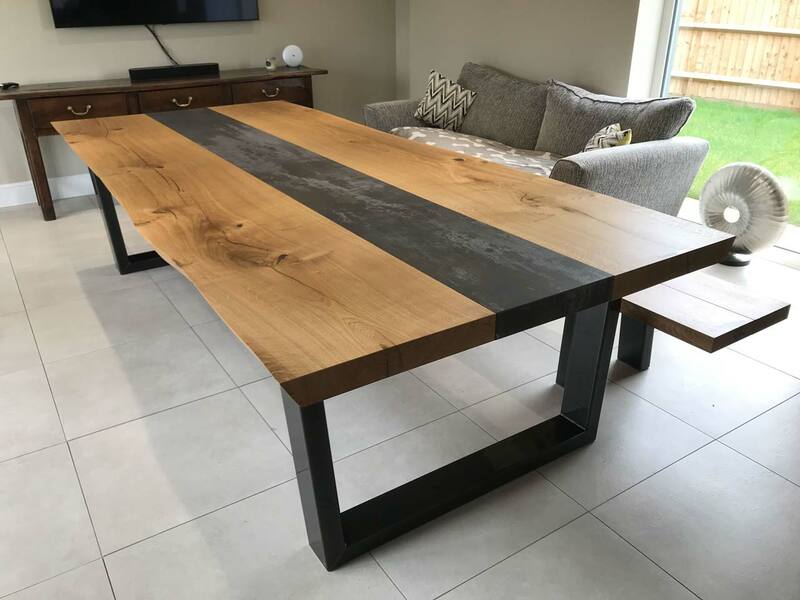 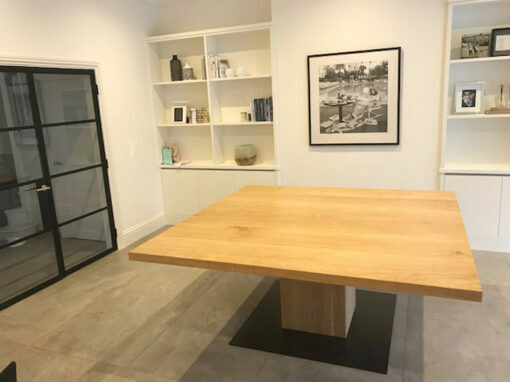 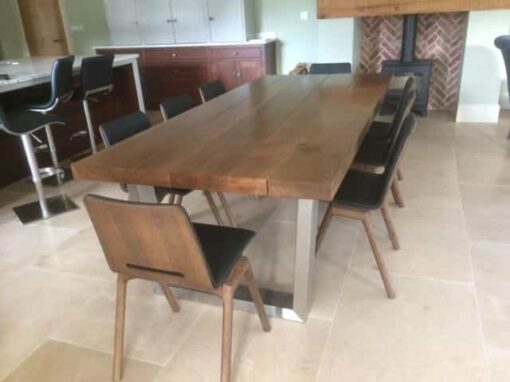 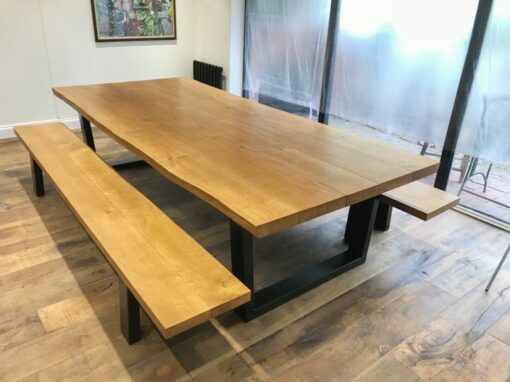 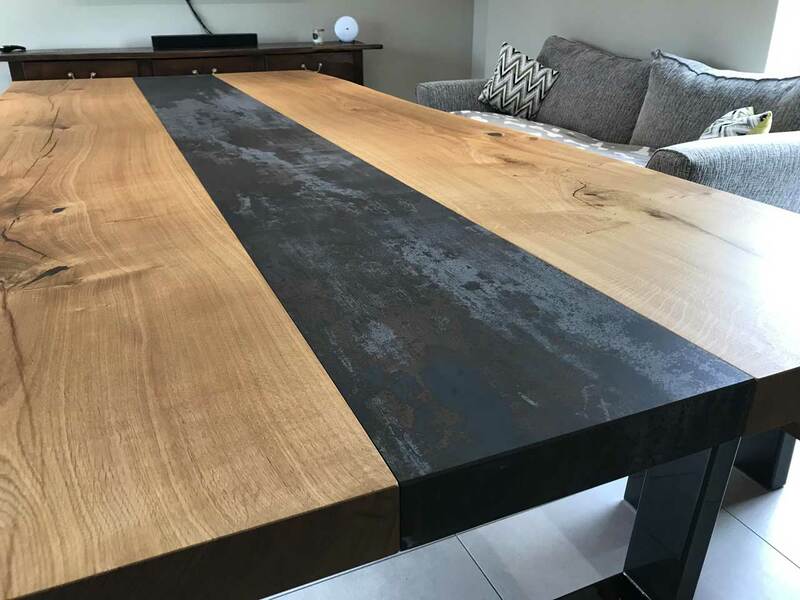 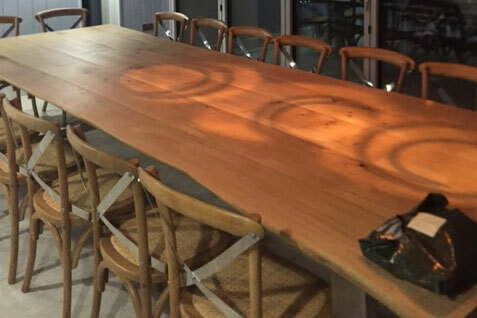 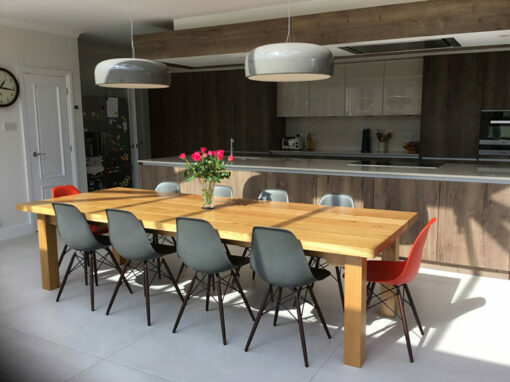 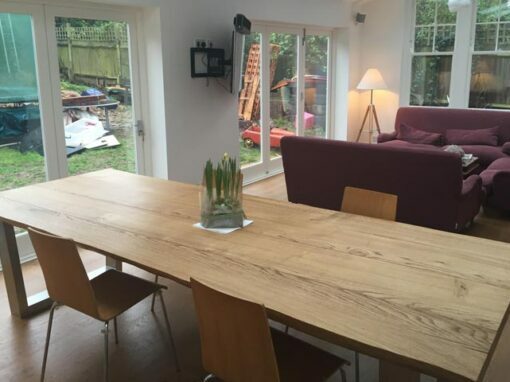 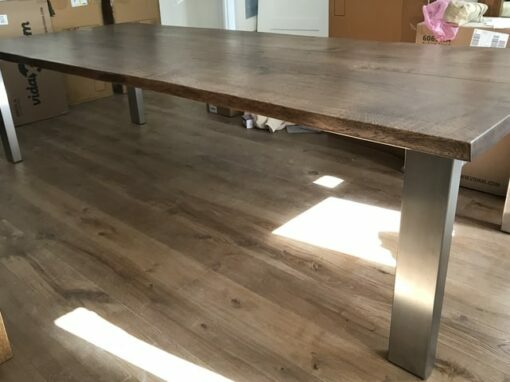 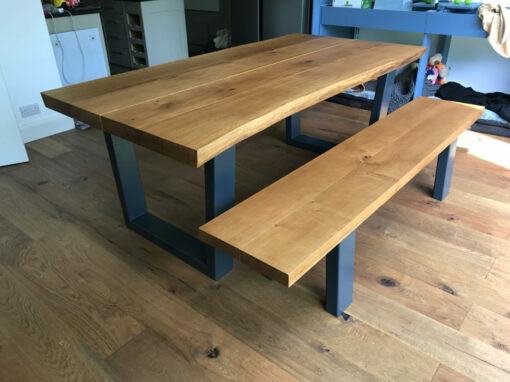 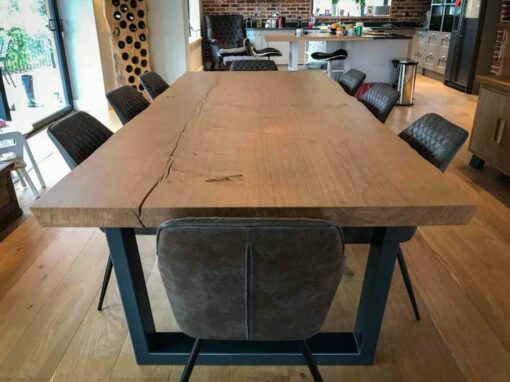 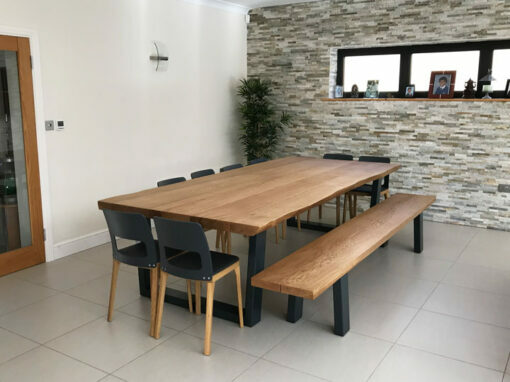 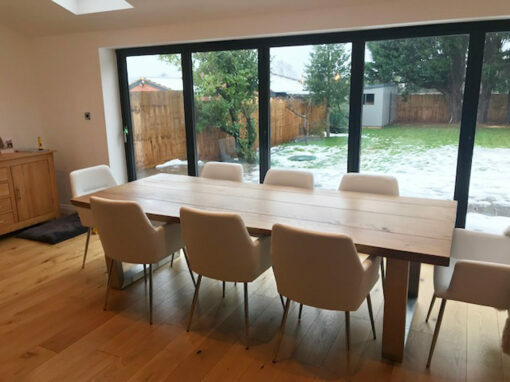 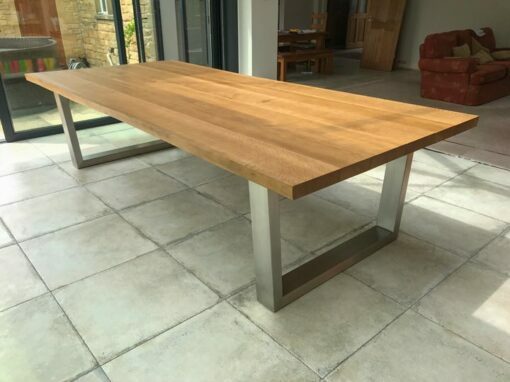 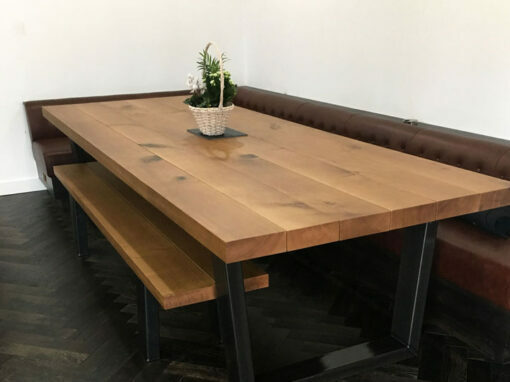 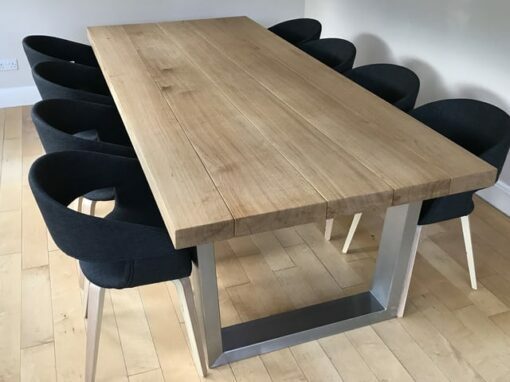 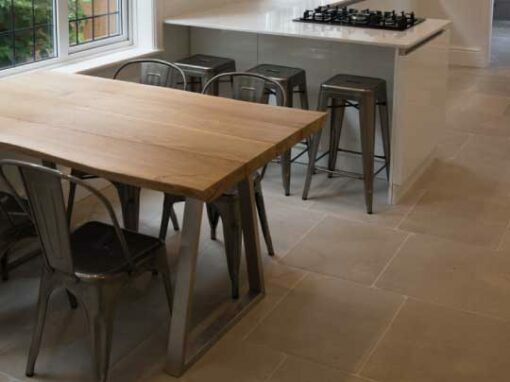 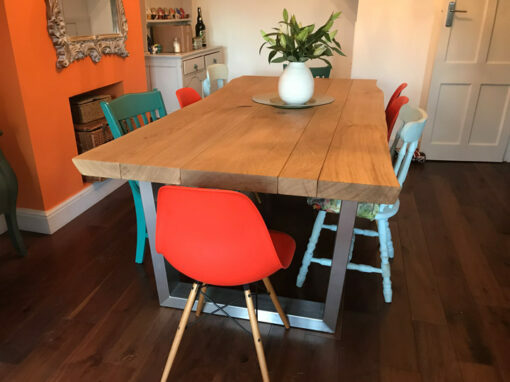 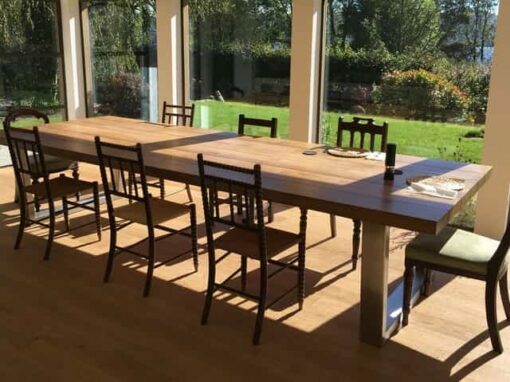 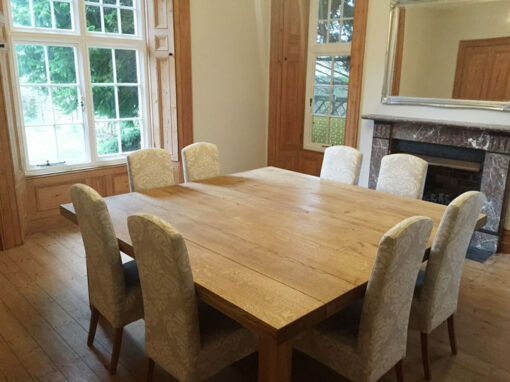 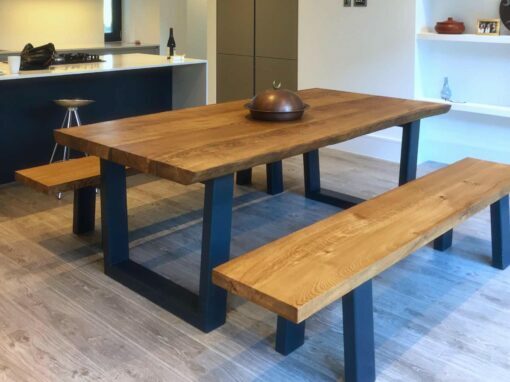 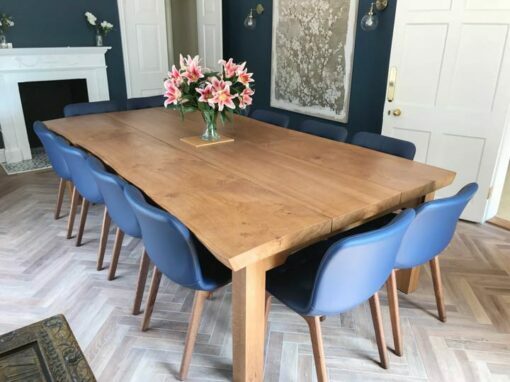 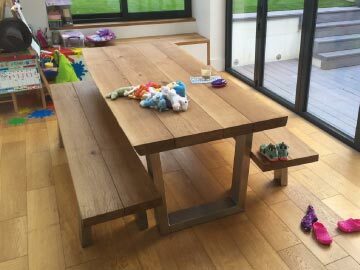 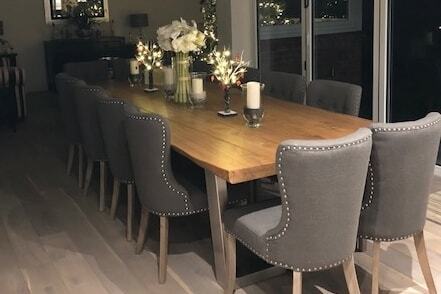 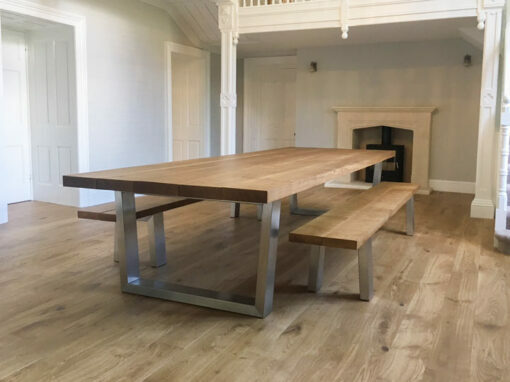 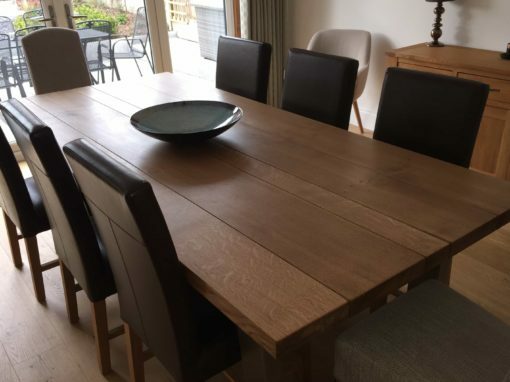 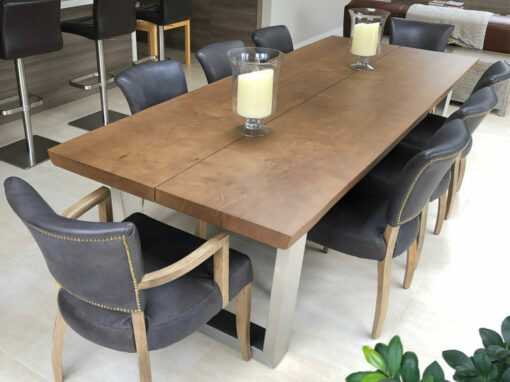 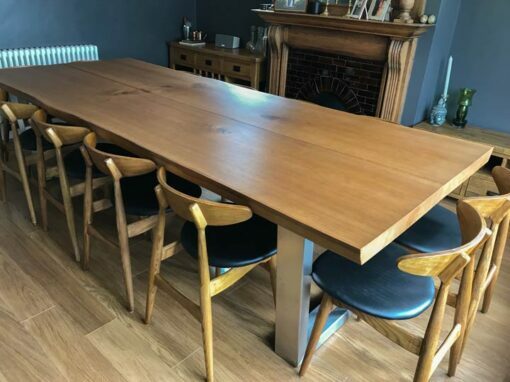 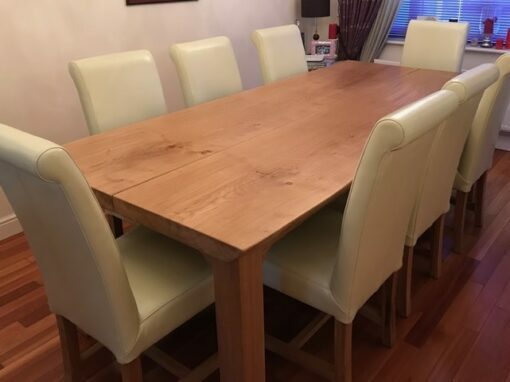 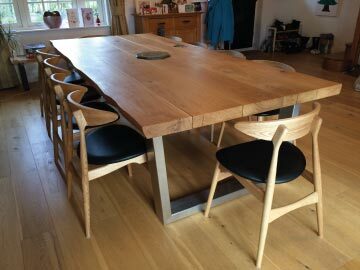 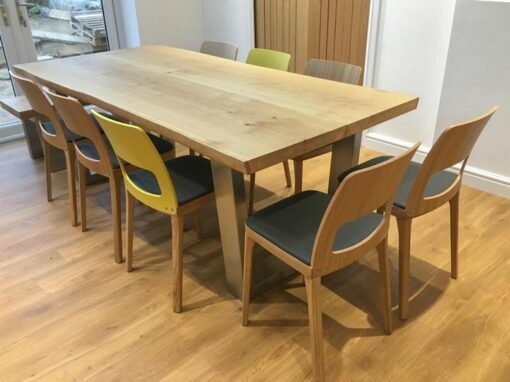 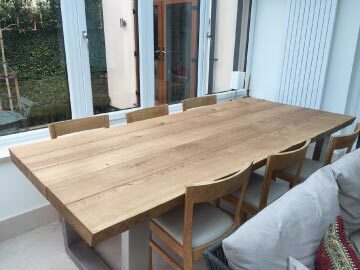 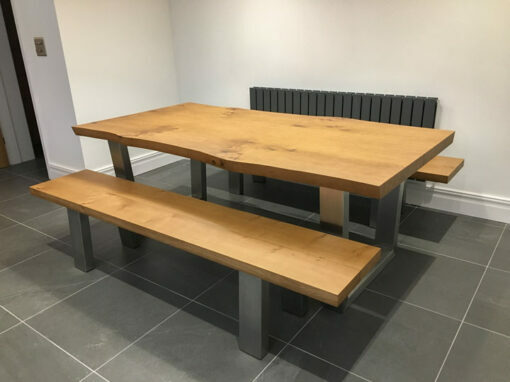 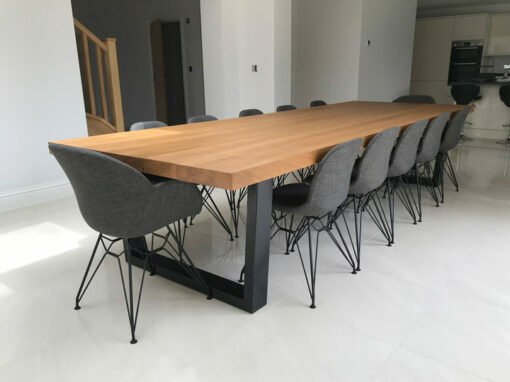 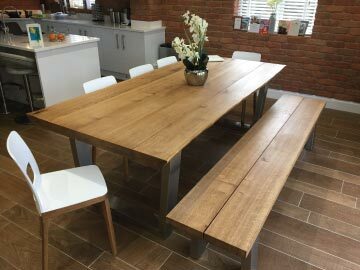 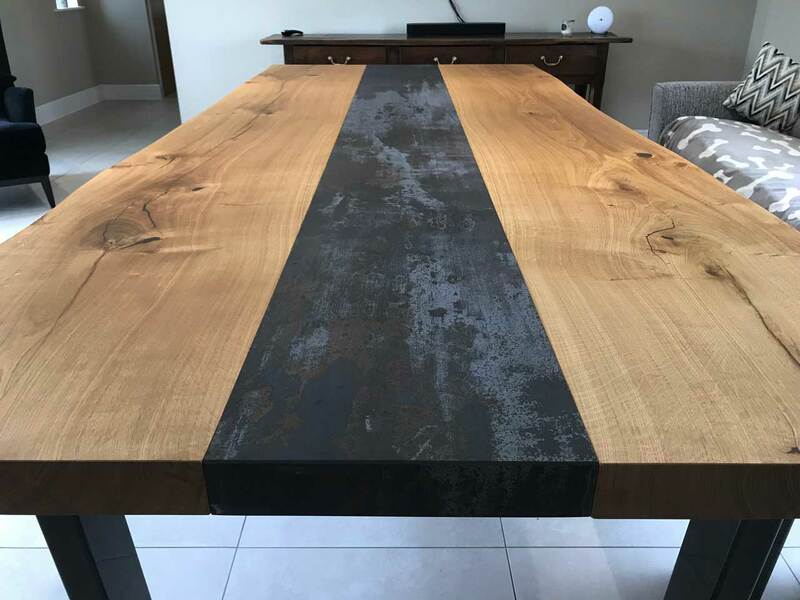 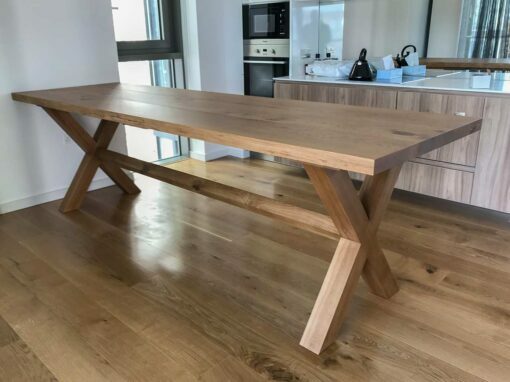 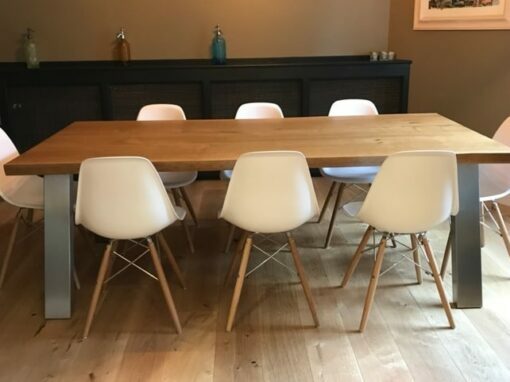 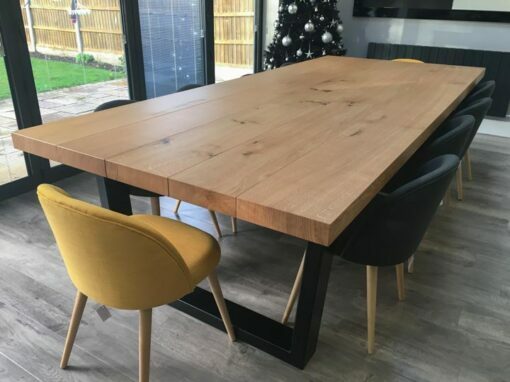 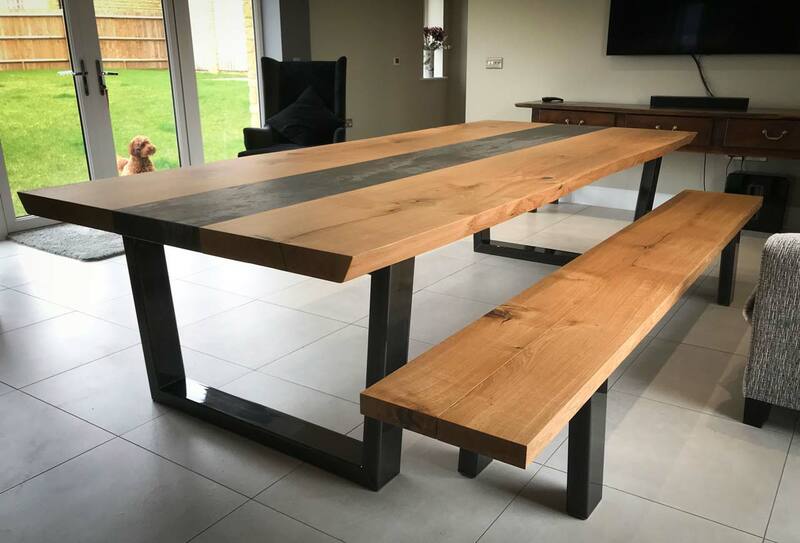 This customer wanted a table top that they could put hot pans directly onto without having to worry about damaging the surface, but also wanted the table to retain a natural feel with visible live-edges. 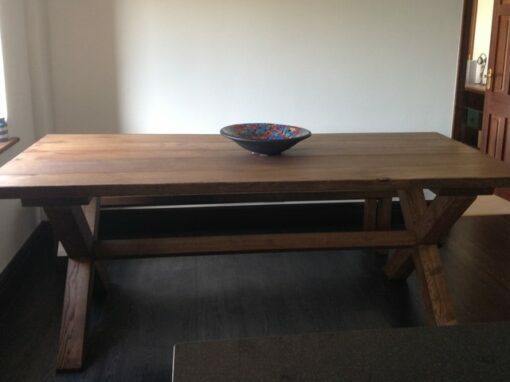 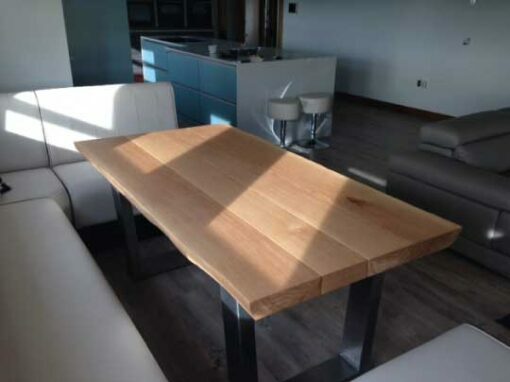 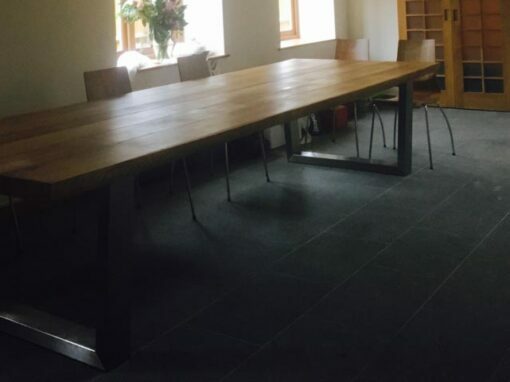 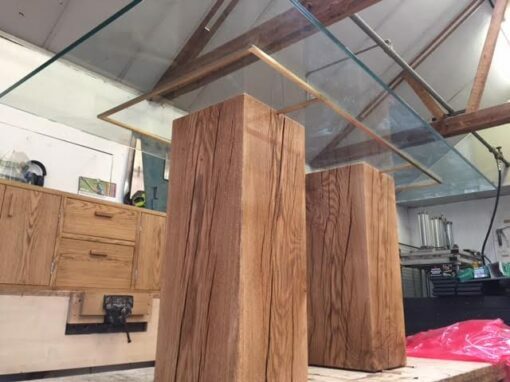 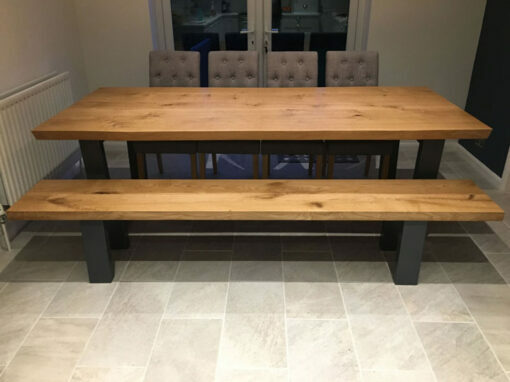 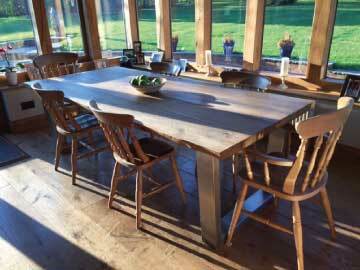 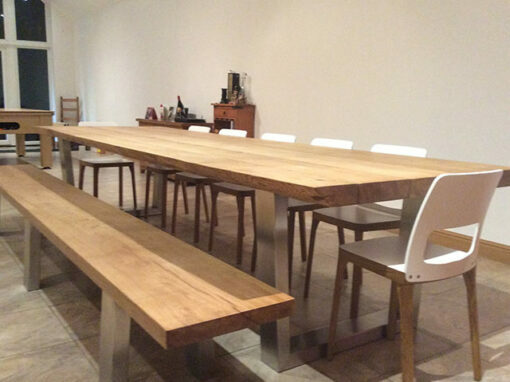 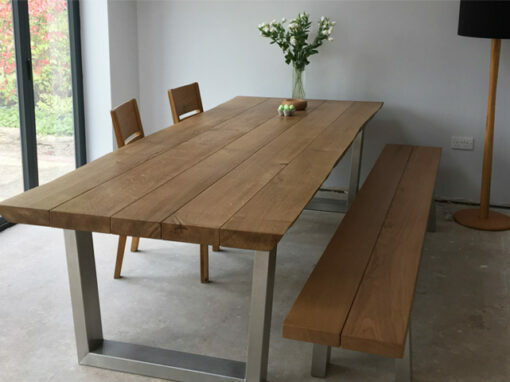 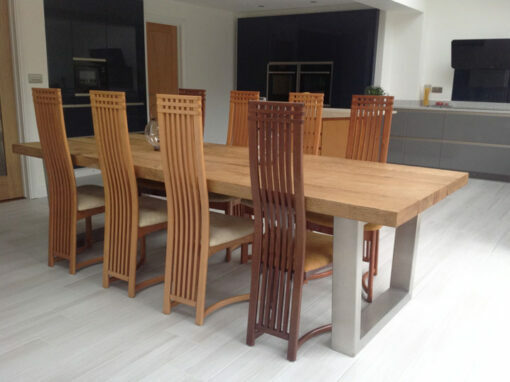 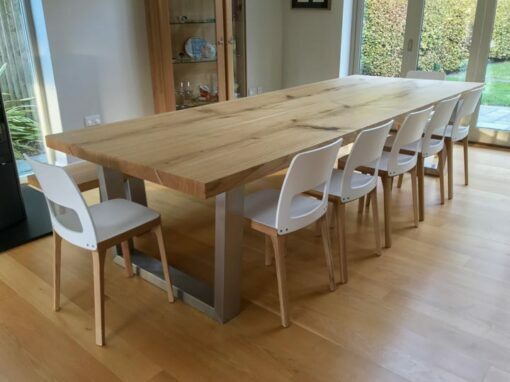 We opted for a Dekton centre-piece finished in Trillium, surrounded by two large oak slabs. 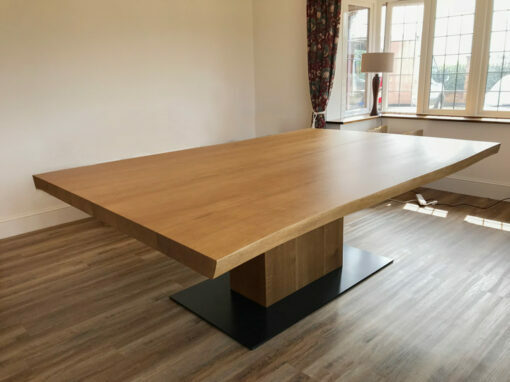 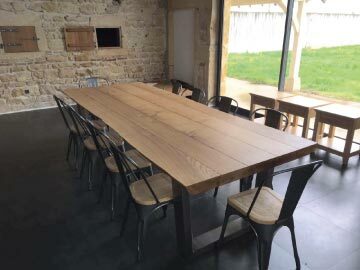 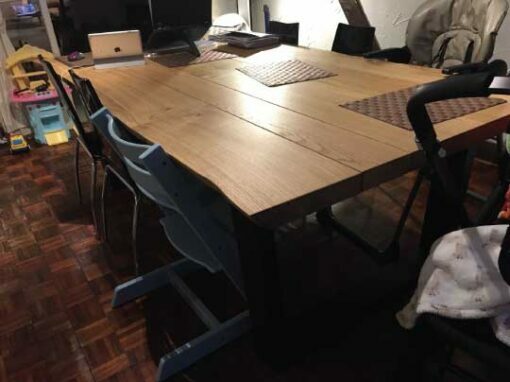 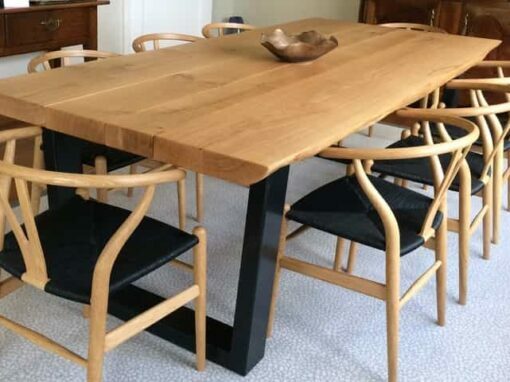 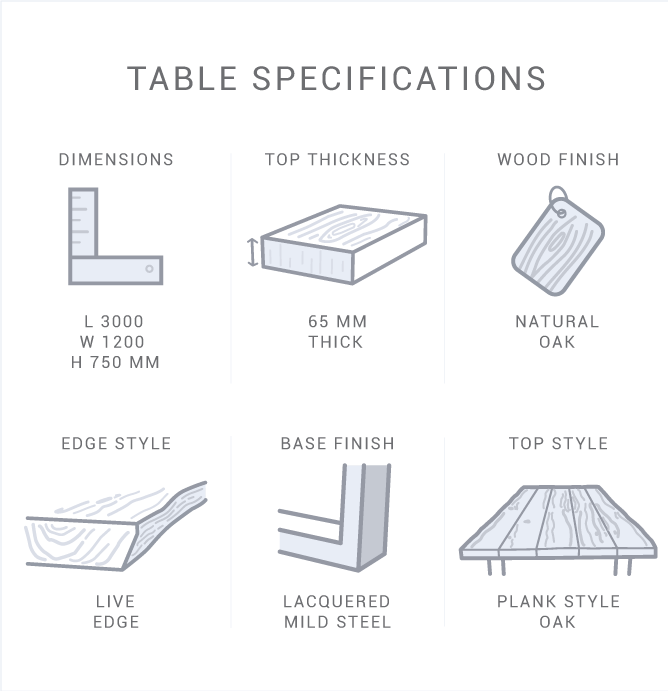 The table turned out great and is very impressive aesthetically, but also practical and will stand up to anything that can be thrown at it.